So last week, I got to spend an evening with some amazing bloggers, PR Girls and the fabulous Sidsel Marie Bøg, the Global MUA for GOSH eating dinner at the stunning Mondrian Restaurant whilst getting to have a sneak peek, play and introduction to the new GOSH AW16 Copenhagen Collection. The main focus of the AW16 Collection is the Nordic/Danish raw beauty of nature, think views of the coastline, barren landscapes and the beauty of the sea. All of the ingredients used are natural and vegan friendly (except the lipsticks which contain bees wax) as well as nourishing and as you might expect from GOSH - amazing. This is the product that I am most excited about and the one most people wanted to know more about on my snapchat. The Overnight Primer Oil Essence is a bit of an innovative product. Packed full of antioxidants, fatty acids and caring oils, which combine to care for your skin and influence the amount of moisture, vitamins, nutrients, the degree of ageing and environmental stresses. The formula works best overnight and it preps your skin while you’re sleeping so that you can wake up, de-stressed, well-moisturised with glowy and primed skin ready for your makeup. It comes packaged inside a bottle rather than a tube and has a handy pipette for application. Now I do love GOSH mascaras and this new lash sculpting fibre mascara not only adds volume and length but as it’s made with antioxidant rich Nordic seaweed, it also cares for your lashes. The formula contains fibres which are up to 2mm long, they attach to your natural lashes to create volume and add length to your lashes. The mascara round Tynex brush is optimally shaped to help create that volume and length whilst at the same time ensuring there is no clumping. As with the Lash Sculpting Fibre Mascara, the Brow Sculpting Fibre Gel also contains fibres which help you achieve thicker looking brows. The brush is specially tapered so you can really use it to create a natural but more defined brow. It is available in two shades Nutmeg and Chestnut. The new Giant Pro Liner is most definitely a giant and has a nib like a Sharpie!. The intense black colour and pointed nib make it incredibly easy to apply either a thin or stronger line with accuracy, it is water based so incredibly easy to remove and is easy to hold. 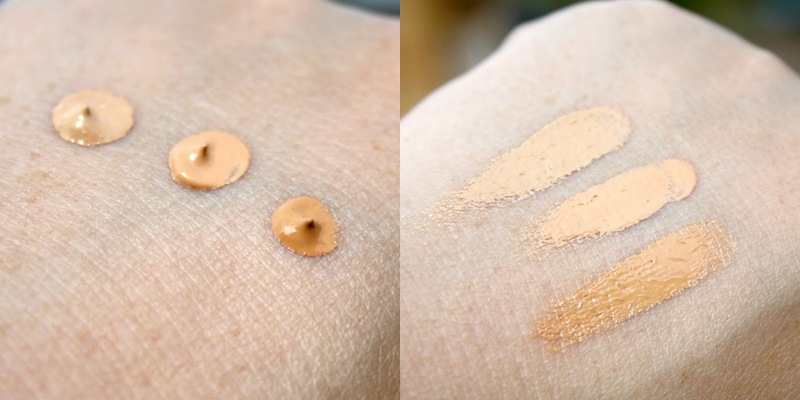 The GOSH Foundation Cover & Conceal is a foundation and concealer in one! It can be used on the whole of the face for full coverage or used in selected areas as needed. It has a really natural feel when on the skin and has a smooth satin finish. It is formulated with liquid sea minerals, seaweed and hyaluronic acid making it incredibly moisturising and nourishing on the skin. It also has SPF15 and is availabe in 5 shades - Ivory which is the lightest shade plus Natural, Honey, Golden and finally Tan which is the darkest shade. As we all know contouring and strobing is very much on trend right now and it is apparently here to stay. So with that in mind, GOSH have launched their contour’n’strobe kit which is a must-have if you want to master the basics. The kit is split into quarters and features a highligher, a semi matte blush, and 2 matte bronzers and there are some instructions about how to use it on the back. The four shades are quite creamy and incredibly pigmented making them easy to apply and blend. The kit is available in two options - Light and medium and is designed to suit all skin types. No collection from GOSH is complete without lipsticks and there are four new shades this season. The shades are Matte Cinnamon, Matte Grape, Matte Purple and Matte Cranberry. Using natural waxes and hyaluronic acid to moisturise, soothe and smooth your lips, they are incredibly creamy, long-lasting with an intense matte colour effect. The GOSH Copenhagen AW16 collection is available to order online today here. I'm loving the new collection - one of my favourite brands. What a great collection. I do need to start wearing something at night and a new mascara is definitely on the cards. I haven't used any Gosh products in ages. I might have to give them a try soon. Thanks for sharing your thorough review. I'd like to try the brow sculpting gel - one thing that I've not got round to yet. I have gosh lipstick that's to die for, but I may have to add this collection's eyeliner to my must-be-hauled list, I wonder how it compares to the Fat Cat Soap & Glory one? I need to look into these products, the collection looks fantastic. I didn't know they were vegan that makes them perfect for me. What a beautiful collection, I want to try the liner as I am loving it big time. This looks like a fab collection. I like the look of the eye liner and lipsticks too. 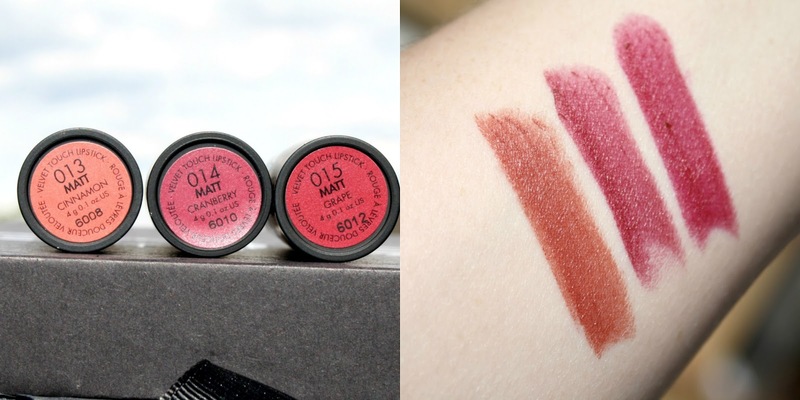 Those lipstick shades are stunning and I really need to buy that liner! I am very curious to learn more about Overnight Primer Oil Essence, have you used it? What is your impression? The collection looks great, there are some lovely products included. I'd love to try that primer. These would be awesome to have for the routine. You could do a lot with those lash tools. I am still looking for a really good mascara that I can get on with. I will have to take a look at this one. What a great collection! I've never heard of this brand but it sounds super. This collection sounds lovely. I love the look of those lipsticks and the sound of the primer oil. GOSH is so underrated I swear! i love the look of their liner and you are right it does look like a sharpie lol! Looks like a fab product for the ladies out there. Sharing this to my wife right now. Looks like a fab range I like the sound of the primer oil. these products are great! I would love to try the mascara and liquid eyeliner! So perfect! I really want to try more GOSH products, the primer oil essence sounds really interesting and I love the sound of the foundation, too! That giant eye liner looks so good! I want to try it so bad! Always looking for new foundations too! I love your photos! Not tried this lot before but they look great. Great brand! I'm going to have to check these out.